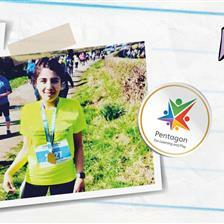 ‘Tell me and I will forget, teach me and I may remember, involve me and I learn’ (Benjamin Franklin). Dyslexia is a very specific learning impairment. Children with dyslexia struggle with literacy; reading fluently and spelling accurately. They may have difficulty with word recognition and comprehension. Some children may have problems with Maths and numeracy, this is known as; dyscalculia. Auditory processing. Hearing may be within normal limits, however children with dyslexia have difficulty breaking down what they have heard into meaningful information. They may be slower at understanding and following instructions. Visual processing. There is often no physical problem with sight, but rather the way the brain interprets what the child sees. Some children with visual dyslexia may skip words or lines and prefer to read in a low light. Working memory. Children with dyslexia may struggle to retain short-term information. They may forget instructions and struggle with recall. Executive function. Children with dyslexia may struggle to complete tasks at the same time as their peers. They may require additional time and support. In their book, the Eide’s (The Dyslexic Advantage, 2012) highlighted 4 main areas of strength for people with dyslexia; M-I-N-D.
Material reasoning – the ability to create an idea and imagine it in 3D form and be able to manipulate it. These children could be your future; architects, developers and engineers. Interconnected reasoning – the ability to make connections and see patterns others don’t. They can see the bigger picture. They can understand metaphors and analogies. Narrative reasoning- they learn facts like stories and use stories as an integral part of decision making. A good example of these are counsellors and therapists. Dynamic reasoning – They can reconstruct past events using available knowledge, think CSI Miami! Or areas that require some prediction – your future investment bankers! 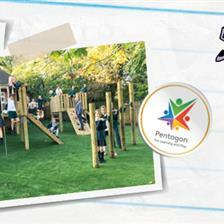 Targeted outdoor activities brings the fun back into learning! A classroom-based learning approach might not work for children with dyslexia, so why not use their strengths? Mohammed Ali, Albert Einstein and Leonardo Da Vinci were reported to be dyslexic. They all found their own creative outlet, in which they excelled. 1. 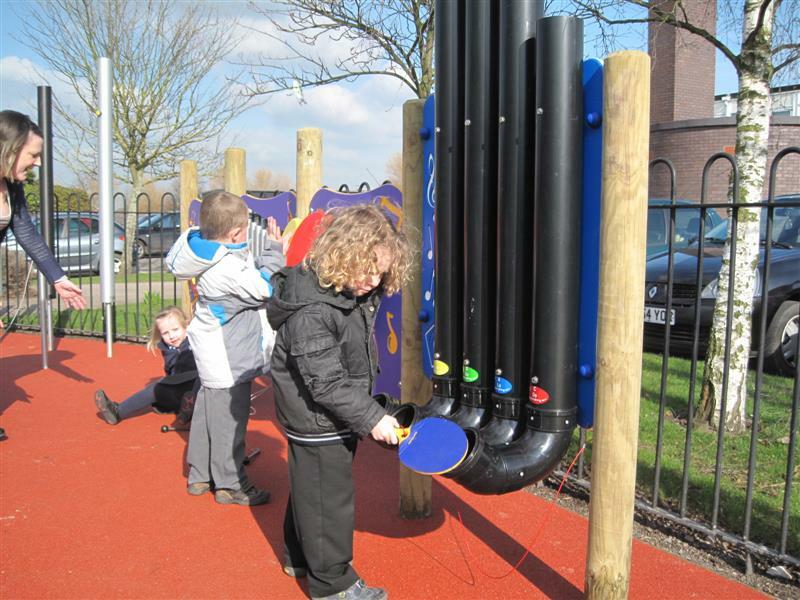 Outdoor musical instruments - Dyslexic children are known to have difficulty with rhythm. Outdoor Drums, are a great way to get children to make as much noise as possible whilst helping them to develop timing, coordination and rhythm. As a bonus, it is fun, and you don’t have worry about noise! 2. Maths hopscotch - This is particularly good for teaching children with dyscalculia. Call out a subtraction, multiplication or times tables and get the child to hop to the answer. It is fun, helping them to learn numbers and improve their recall. View our Playground Markings here. 3. Ball games - Be creative. If the child is a fan of football, you could use your outdoor football pitch and ask them to kick the ball into the goal post whilst shouting out an adjective, or practice tenses. 4. Multisensory play ideas to help learning - An article published by Sharon Dominica (2015) suggests that when teaching children using a multi- sensory approach they have a better chance of retaining information. 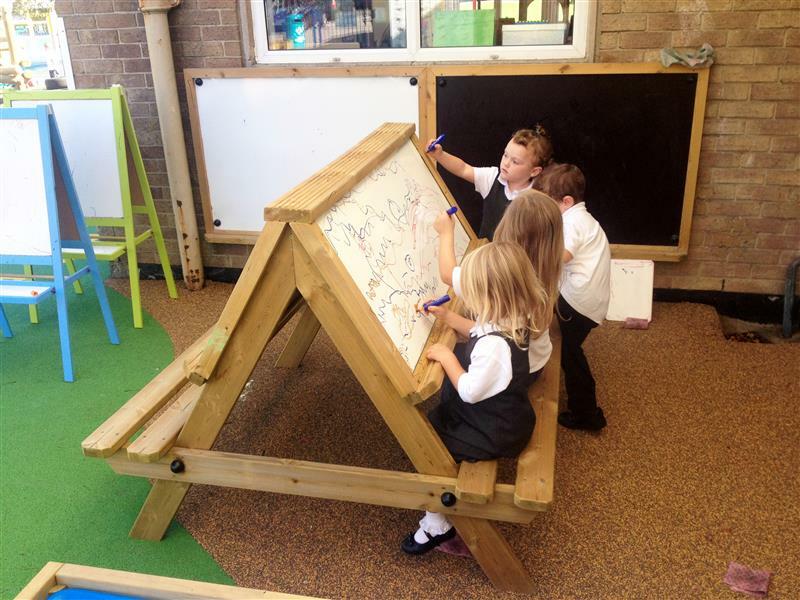 A Sand Table or Mud Kitchen can be used to draw letters into different materials. 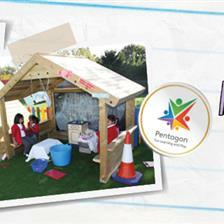 This encourages learning through touch, feel and visual pathways. 5. Outdoor activity panels - Children can use paint over chalked letters, to practise letters and spelling words. This allows them to use creativity to learn. The panel can also include noughts and crosses, so if they spell a targeted word they can place a nought or cross. This uses their strength in interconnective reasoning (the ability to see patterns) whilst helping children improve their weaknesses in spelling and word recall. You can view our range of mark making boards here. 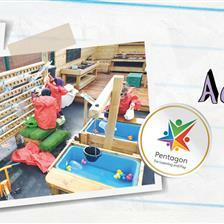 At Pentagon Play, all our products are created with the child and their educational needs in mind. 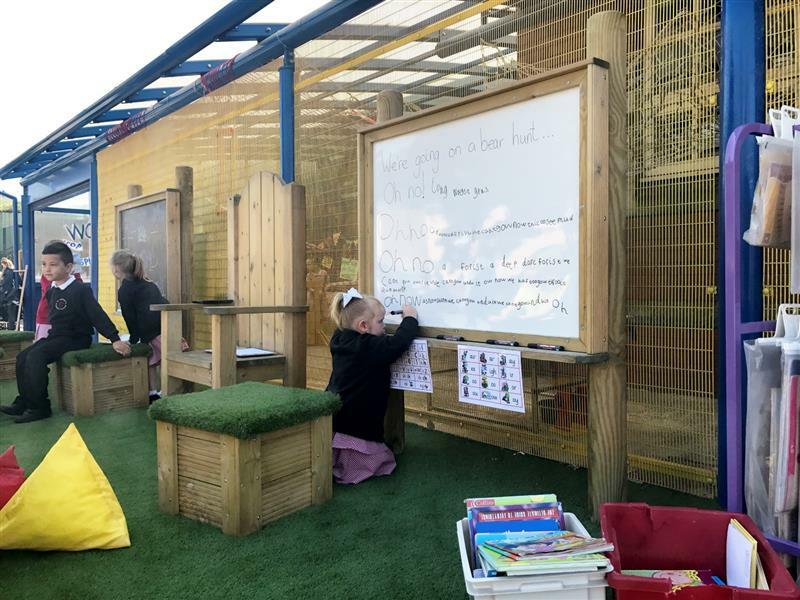 We offer various play based, outdoor learning products, which can be used to boost and develop learning in children with dyslexia and or dyscalculia. 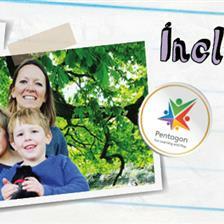 We can also tailor and adapt products to cater for your school’s educational requirements. 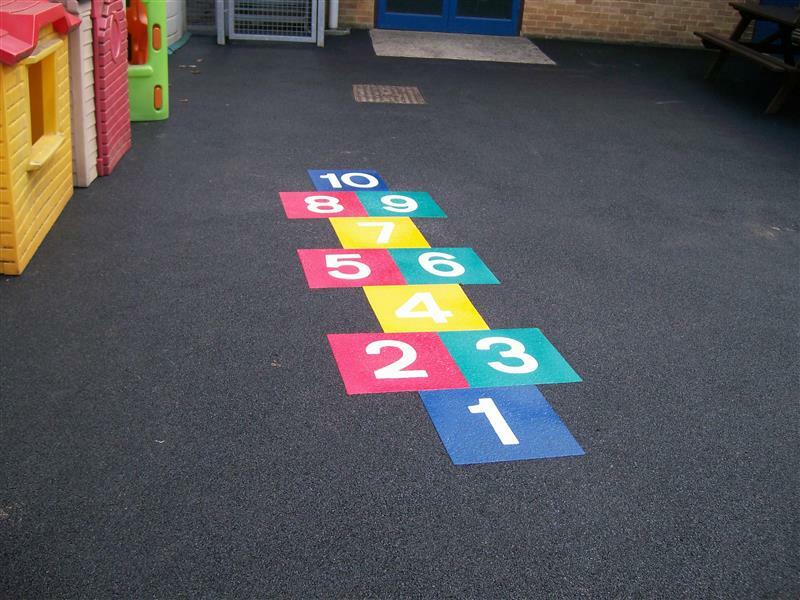 For more information on the most suitable products for your school playground, please Contact Us for a free consultation.